The most beautiful, evocative, and fascinating of all the Scottish islands. Here you’ll find adventures aplenty, and a sense of history and natural wonder which is simply waiting to be explored. Whether you like to spend your time visiting museums and ancient sights, or find happiness in the great outdoors and areas of pristine natural beauty, you’ll find plenty to fall in love with in this truly spectacular places. Mountains, forests, mystical sights, charming villages… Skye really does have it all, and promises a holiday that will never be forgotten. When it comes to spectacular natural wonders, they don’t come much more spectacular or wondrous than the Old Man of Storr. This jagged peak of rock which pierces the sky will take your breath away, and one could spend hours simply gazing at this remarkable rock formation and its gravity-defying shape. The Old Man of Storr is fairly easily accessible from the pretty town of Portree. While it may take a bit of hike to get to the very best viewpoints, you’ll quickly find that the panoramas you’ll uncover are more than worth the effort, as this is one place on Skye you simply cannot miss. 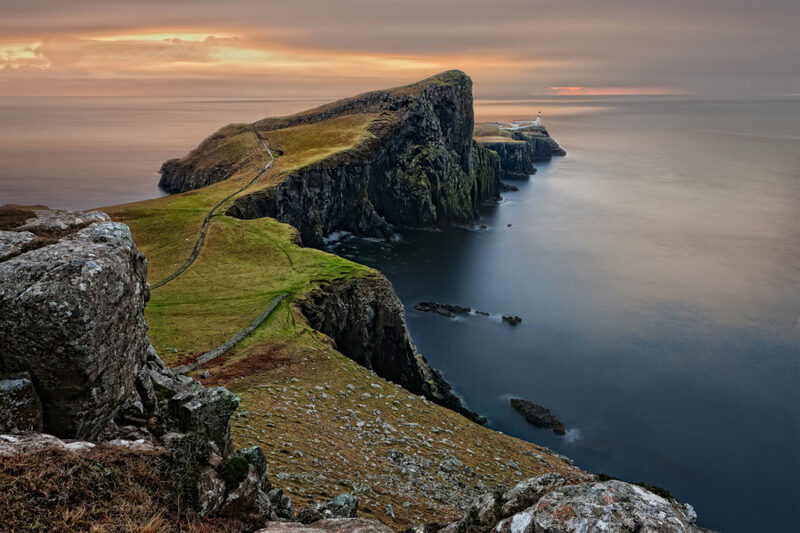 Skye has no shortage of spectacular viewpoints and incredible vistas across the wild and stormy seas. However, one of the very finest can be enjoyed at Kilt Rock. Easily accessible with relatively little hiking, standing on the cliffs of this spectacular spot will make you feel as though you’re on the edge of the world, and provide a sense of liberation and serenity that is difficult to beat. Also, from your vantage point on Kilt Rock, you’ll also be able to see unparalleled views of Mealt Falls - a truly breathtaking waterfall which tumbles down the cliff edge and into the darkened waters below. A natural wonder, a moment of unrivalled beauty, and one of the quintessential Skye experiences. No trip to the Isle of Skye would be complete without hiking across some of the island’s most incredible and beautiful glens. Among the finest walks around is that which takes in Quiraing - a phenomenally spectacular and unique landscape, featuring rocky outcrops, mountain lakes, rolling green hills and hidden surprises aplenty. Don’t forget to take your binoculars and camera; it’s not uncommon to see a whole range of flora and fauna in Quiraing, including the majestic golden eagles which call this place home. As the name suggests, there’s more than a sprinkling of magic to be found in the beautiful and mystical Fairy Glen of Skye. To explore this incredible landscape is to step back into a time when our ancestors worshipped the land - and it isn’t difficult to see why they were so in awe of what they beheld. The green and rocky ridges give way to rolling hillsides and hidden valleys, and you’ll find mysterious neolithic structures and earthworks everywhere you look. Whether you’re a believer or not, it’s difficult not to be swept away by the sheer majesty of this spectacular place… and if you’re going to see fairies anywhere on Skye, well, this is surely the best place to start. The Highland Games is an event which takes place in various locations throughout Scotland and the Scottish islands. However, to attend this iconic gathering on the Isle of Skye is a truly unforgettable experience, and one which will doubtlessly be the highlight of your holiday should you visiting at the beginning of August. Featuring incredible feats of strength and endurance, amazing displays of music and dance, and a festival atmosphere which is utterly contagious, it’s impossible not to have a smile on your face as you wander between the stalls and watch the games being played. From caber tossing to tug-of-war, and from piping contests to traditional Scottish dancing competitions, there’s so much to see, do, and learn at this quintessentially Scottish festival of local culture. If you’d like to get a taste of what the Isle of Skye is really all about, then the Skye Festival - also known as Feis An Eilein - is the perfect place to start. Held in venues across the Sleat Peninsula at the south of Skye, it’s an all-out celebration of what makes this island special, and a time to recognise the unique contributions of Skye to Scottish cultural life. With a major emphasis on the performing arts, the Skye Festival is a wonderful display of the island’s unique musical and theatrical heritage, all held in one of the most beautiful spots found anywhere in Scotland. Traditional piping music, historic percussion, plays by local writers and explorations of Skye myths and legends, and plenty of modern jazz and theatre too, it’s a joyful occasion that brings the island community together to really put on an unforgettable show. The Isle of Skye is home to some of the most phenomenal food and drinks producers found anywhere in the Isles. With its varied landscape, crystal clear waters, and fertile soils, Skye is a paradise for farmers and foragers alike… and they all come together each summer to celebrate their wares and show off the very best of their produce to the gathered crowds. As this is Scotland, there’s a big emphasis on whisky at this festival - something which is sure to delight aficionados of the most famous Scottish product of all. However, it’s not all about the spirits; you’ll also find amazing meats and charcuterie on offer, incredible ice creams and dairy products, and newer ventures exploring the potential of Skye’s amazing range of flavours. What’s more, there will be cooking demonstrations, live music, and a great party atmosphere to enjoy - for dedicated foodies, this is an event which simply cannot be missed! 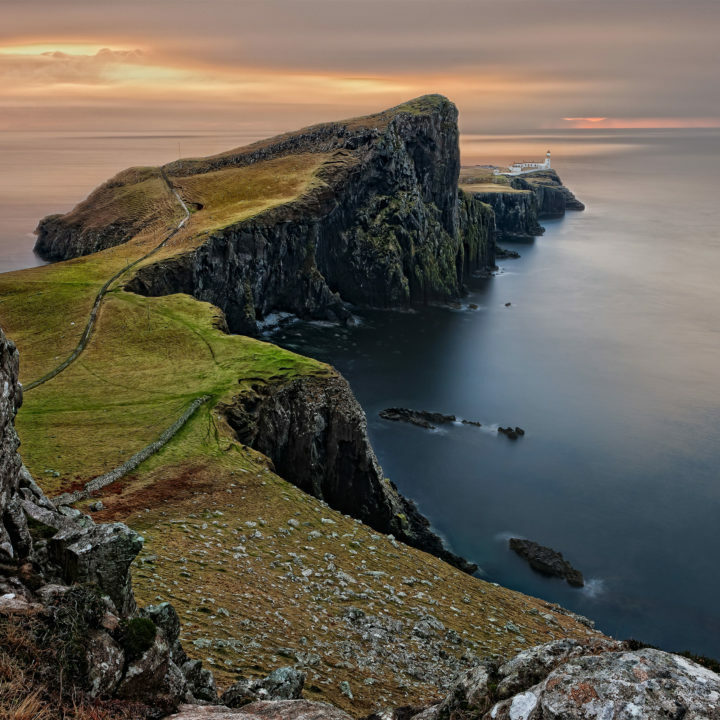 With its incredible views, sense of utter tranquility, and undeniable romance, it’s no surprise that the Isle of Skye has inspired writers, poets, and other artists for generations. This heritage is celebrated in the Skye Book Festival and the Skye Antiquarian Book Festival, both held each September. This event recognises the contribution that Skye writers and the island itself has made to the literary world, and features panels, discussions, and readings from a wide range of both local and international authors. Whether you’re an avid bibliophile, a casual reader, or simply someone looking for a culturally stimulating weekend while on Skye, these festivals offer plenty of fun and a stimulating timetable for all the family.